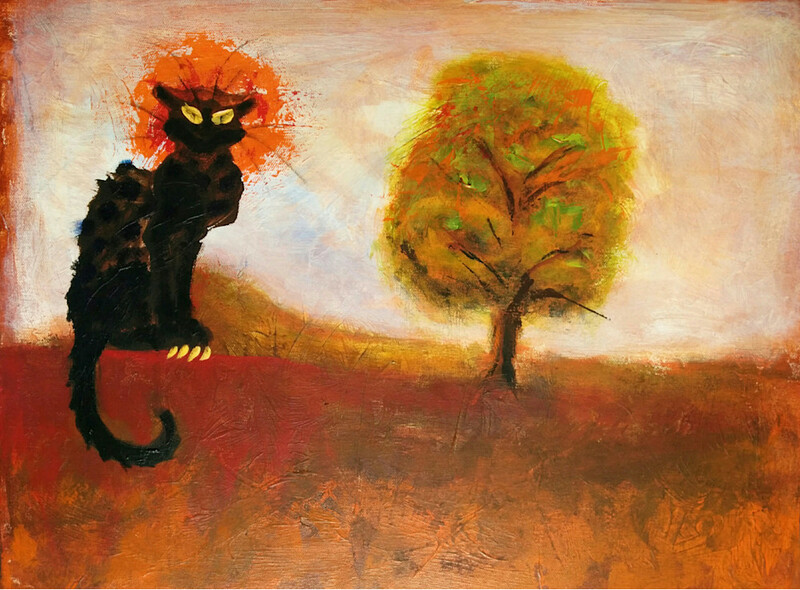 Acrylic painting of a wild black cat in profile and a single tree in the background. A direct reference of artist Steinlen's "Le Chat Noir" cabaret poster, I created Le Chat Savage for a charity auction raising money for wildlife rescue center. Cats make me laugh.